microwave | Blog, Jane! Blog! In case you hadn’t realized, I’m really liking my Pampered Chef Deep Covered Baker! I love that it goes in the microwave and the oven, and pretty enough for the table! And the convenience of the microwave (and not using the stove) with 2 kids around is pretty awesome. 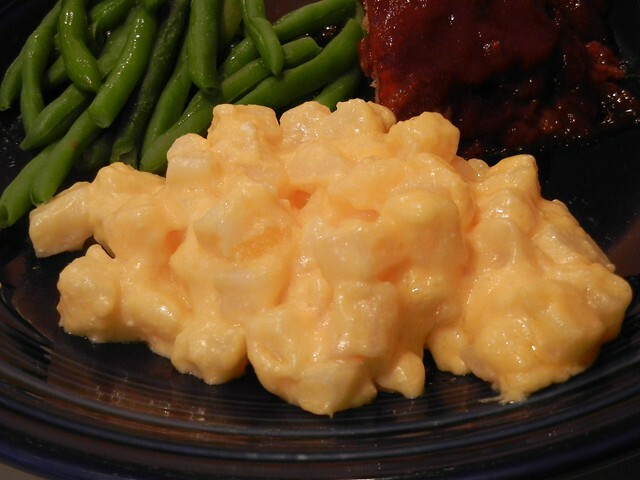 Last night I made these cheesy potatoes in the microwave while the meatloaf baked in the oven. I adapted the recipe for Cheesy Potatoes I found while googling “Deep Covered Baker recipes”. They were excellent and easy! 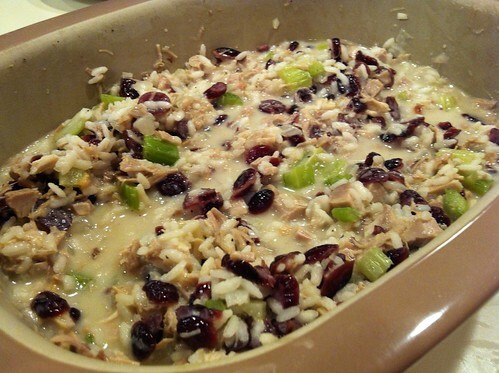 Mix all ingredients, except butter and spread into Deep Covered Baker (or a microwavable glass dish with cover). Drizzle butter over top. Microwave on HIGH for 30 minutes. I had a Pampered Chef party in November and was able to get the Deep Dish Covered Baker at a fabulous price! 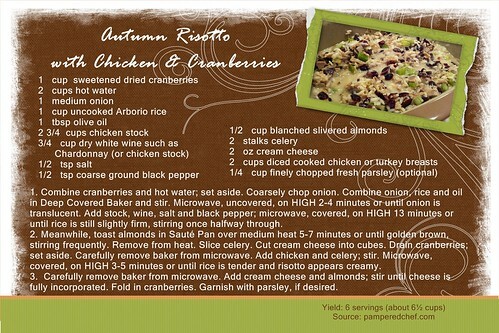 I haven’t used it much, but tonight, I made this great recipe for Autumn Risotto with Chicken & Cranberries – YUMMM!!! Did I mention I made this in the Microwave!?? OK. so here is the recipe, with my modifications. I did not add Almonds as it makes me all itchy. 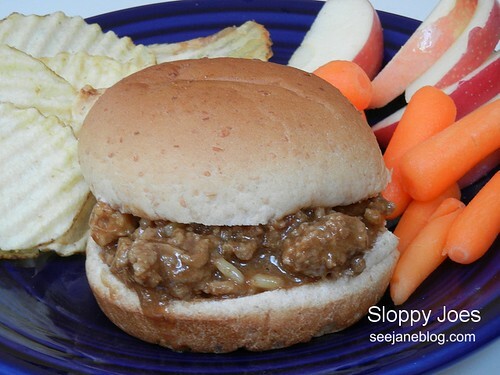 I used turkey instead of chicken, because I had some in the freezer from Thanksgiving. I did not have parsley, so did not use it. And used all chicken stock, instead of some wine. But if you like any or all of those things, then reference the original recipe. AND if you don’t have a Deep Dish Covered Baker, then I would suggest a nice glass dish with a top on it. Combine cranberries and hot water; set aside. Coarsely chop onion. Combine onion, rice and oil in Deep Covered Baker and stir. Microwave, uncovered, on HIGH 2-4 minutes or until onion is translucent. Add stock, wine, salt and black pepper; microwave, covered, on HIGH 13 minutes or until rice is still slightly firm, stirring once halfway through. Meanwhile, toast almonds in Sauté Pan over medium heat 5-7 minutes or until golden brown, stirring frequently. Remove from heat. Slice celery. Cut cream cheese into cubes. Drain cranberries; set aside. Carefully remove baker from microwave. Add chicken and celery; stir. Microwave, covered, on HIGH 3-5 minutes or until rice is tender and risotto appears creamy. Carefully remove baker from microwave. Add cream cheese and almonds; stir until cheese is fully incorporated. Fold in cranberries. Garnish with parsley, if desired.